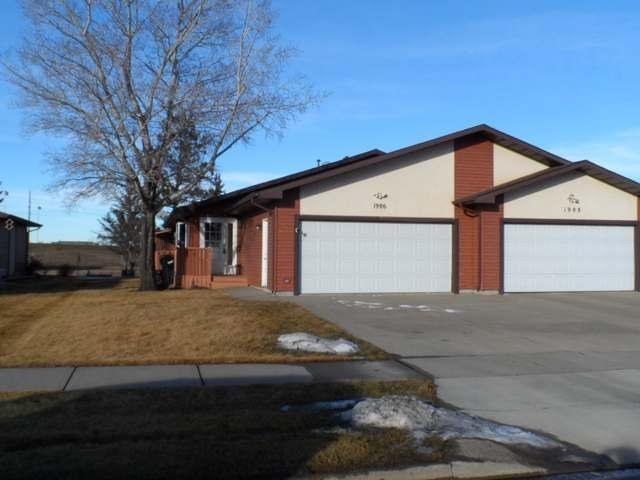 Ranch style twin home with no fees! Double attached garage. Nice shed in back. Main floor laundry. Brand new kitchen with awesome cabinetry with roll outs! Sit down counter off kitchen also! Master suite with 3/4 bath. Another bedroom on the main floor. Basement if finished also and has new carpets! Great office with tons of built ins! Another bedroom down with a huge storage/hobby room! Has another 3/4 bath down! Has many updates including windows, furnace, air conditioner and more! The beautiful kitchen also has tube lighting. It really is a great home that has been well taken care of! Call a Realtor to make this home!